Laura Ingalls Wilder’s enduringly beloved “Little House” books (biofiction of the prairie as they might be called in today’s terminology) have spawned an industry’s worth of secondary writing. Scholarly and biographical books, spin-offs, children’s watered-down versions, the lot; and this is without mentioning the tours of the Ingalls and Wilder homes and all the attendant merchandise and recreational hijinks. Now, out of this assorted welter of tributes, comes a novel that is singularly fine in its own right. Historical novelist Sarah Miller retells the story of Little House on the Prairie from the viewpoint of “Ma,” Caroline Ingalls. That might sound like just a typical, fan fic twist on any classic story, but with her imaginative feeling for the past, and sensitive, even exquisite prose, Miller’s novel is not just another covered wagon coda. Tales of the American West have always held a captivating lure, the “Little House” books as much as any: Wilder herself once said that she had seen the development of the West in her own lifetime, and it is a compelling story. Perhaps even more compelling because her rather flat, quietly descriptive prose was cannily shaped and enlivened by her sharp editor/author daughter, Rose Wilder Lane. Their combined and contrasting labors together made magic out of the family’s hardscrabble prairie past. With a “you are there” intensity the reader is taken back into pioneer days, when people had to contrive an existence out of very little. There’s a kinetic appeal to this, making the reader wonder how he would have fared in such circumstances; and a charm in seeing pioneer life through the eyes of the growing Laura, a natural little girl who took the tough life conditions for granted and had great curiosity for everything around her and how it worked. There is much of a psychological nature that is seen but not spelled out in the Little House books, and this is Sarah Miller’s own pioneer territory. She does no less than to imagine, with great keenness and intuition, what went on in the head of Caroline Ingalls, and what she endured uncomplainingly in her daily life, as she followed Charles Ingalls to the then-ends of the world, and back. Those familiar with the iconic Little House on the Prairie (though even those who have never read it can enjoy this novel as an unsparing look at pioneer life) are aware of what happens: the family embarks on its arduous, dangerous journey, with pregnant Caroline being flung around on bumpy wagon ruts, with only one precious box containing pictures and mementos of her past life. They ford rivers, cross a lake just before the ice breaks up for the winter, get stuck in a rainy swamp (where it’s impossible to cook even their rude meals of corn dodgers), encounter Indians and wildfires; and much more. When Charles chooses a spot on the bare prairie as their homestead, Caroline helps him raise the house, though injured by a log falling on her ankle; later, she gives birth aided by a neighbor woman, her modesty causing as much agony as the birth pains. 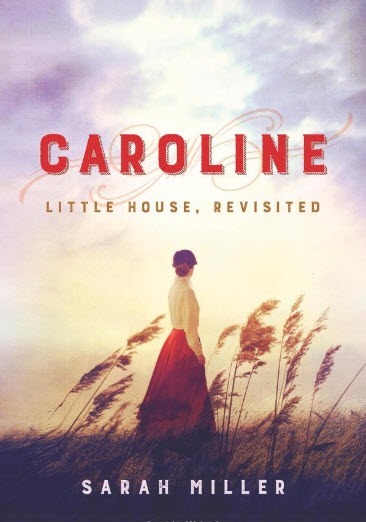 Physical matters left out of the Little House books, such as chamber pots and details of illness, are seen in this adult novel, as well as the warm intimacies between Caroline and Charles, cautiously caught at moments while their children sleep. In a similar way, the author has made knowing music for us here, out of the raw materials that were so evocatively wielded by Laura Ingalls Wilder and her daughter, a long time ago. William Morrow. 2017. ISBN: 978-0062685346. 384pp. Recently retired as a story analyst at Warner Bros Studios, I am the author of two Jane Austen sequels, Mrs. Darcy's Dilemma and Mrs. Elton in America, as well as the biography of my grandmother, Onoto Watanna, who was the first Asian American novelist. As far as I recall, when they left the house in the big woods and set off for the prairie,the third child Carrie had already been born. From the beginning of the “Little House on the Prairie” reference is always made to the two girls and the baby. This entry was posted on November 6, 2017 by dianabirchall in Entries by Diana, Fiction, Fiction: 20th Century, Fiction: 21st Century, Fiction: fanfiction, Fiction: historical and tagged American West, fan fiction, Kansas, Laura Ingalls Wilder, Little House on the Prairie, settlers.